Can You Afford to Save Money With Your Horse? As we all know, horses are an expensive hobby. We’re all trying to save money at the moment – but where is it safe to cut corners? Horse & Hound recently ran a story about riders with Point Two safety jackets, a type of body protector that’s designed to inflate on impact like an air bag. The jackets retail for between £400 and £600, depending on the model. The air canisters that power the jackets require replacing after each use, and some riders are choosing to save money by using cheap canisters from Hungary, instead of Point Two’s own product. The foreign canisters cost £2.50, as opposed to £17.50 for the ‘proper’ version. It’s easy to see why riders are tempted – but when Point Two researched the cheap canisters, they found that four out of five failed to activate on impact, making them a very dangerous choice. There are some areas where it’s possible to save money on equipment and clothing – but anything that compromises your own or your horse’s safety is a false economy. Most of us spend extortionate amounts on equipment. I think my horse’s wardrobe is probably worth more than mine, and it’s considerably better designed. A decent rug costs well over £100 these days, and if your horse is a bit of a rug-wrecker, you could be looking at a new rug a year. Try to buy a decent quality rug second-hand, as they tend to be better cut. Cheap rugs are often not deep enough, offering little protection, and can rub and chafe. Rugs are often advertised on tack room notice boards, riding club newsletters or on eBay. Once you’ve got the rug, look after it. You can buy glue-on rug patches online, or use plaiting thread to sew up rips. Re-proof outdoor rugs once a year, and wash stable rugs. Mend rugs by gluing or sewing on patches when necessary. Check your tack every time you clean it, paying particular attention to worn stitching. Most saddlers will undertake minor repairs for a few pounds, and it’s almost always cheaper than replacement – but this is one area where you need to leave it to the professionals. Don’t try to repair your own tack, as it’s subject to a great deal of strain, and a poor repair will cause a weak point. 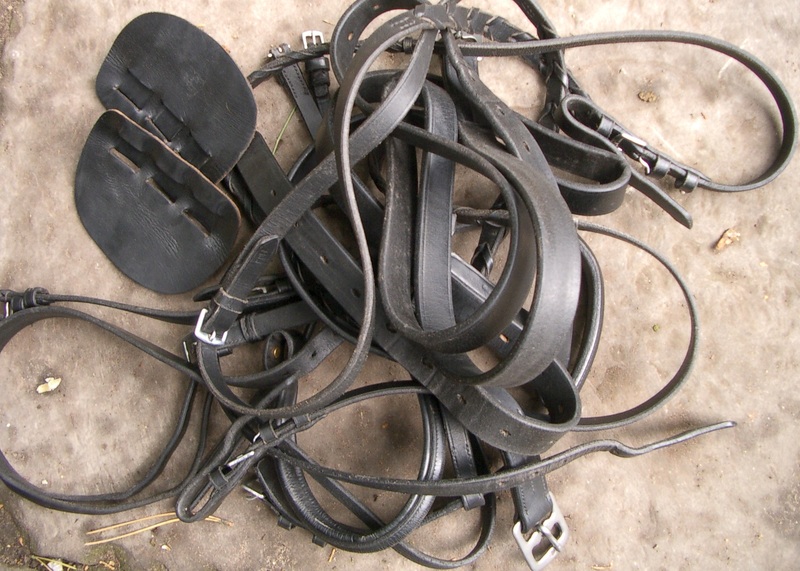 Cleaning your tack regularly will help prolong its life. 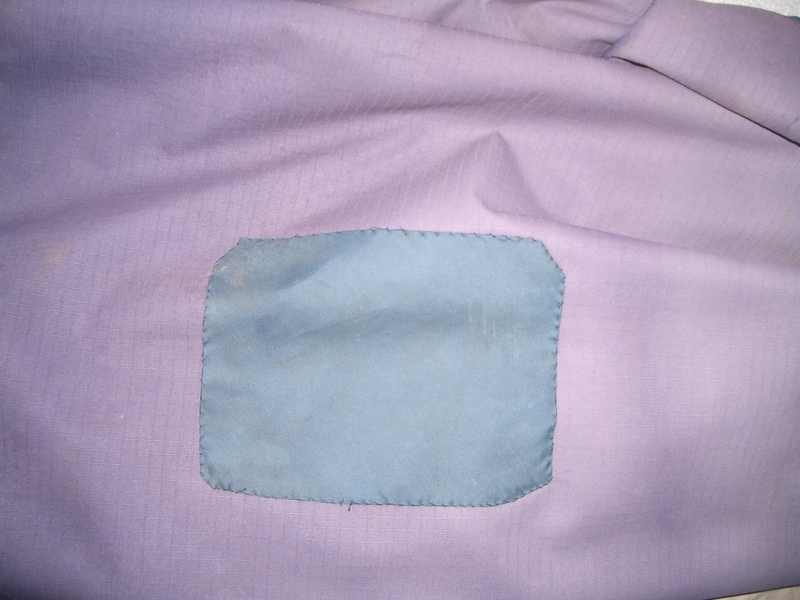 Take tack to pieces and check all the stitching on a regular basis. Never be tempted to try to save money by feeding poor quality hay or feed. If your horse develops a persistent dust cough or other problem as a result, the vet’s bill will far outstrip any potential savings. Equally, trying to scrimp on the farrier will cost you money in the long-term. Well-maintained feet generally give little trouble, whereas neglected, over-long feet can cause a range of problems from sandcracks to ligament damage. 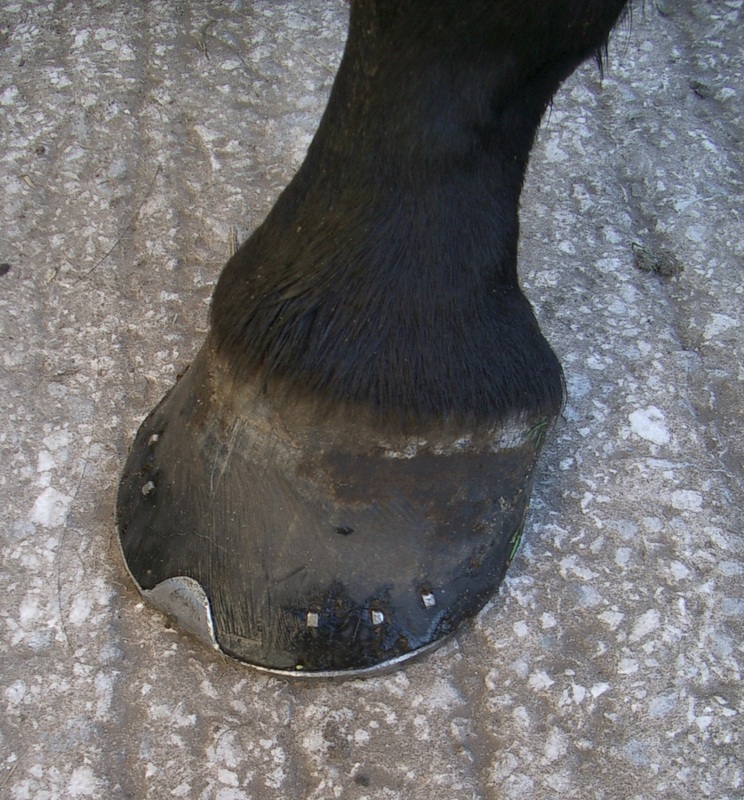 Spending money on the farrier helps prevent problems with feet. Rider clothing is all designed with a purpose in mind, whether it’s safety or comfort. If you ride frequently, you’ll need at least a hat, jodhpurs, riding boots, riding gloves, and a decent riding jacket. Don’t try to save by buying a secondhand hat, as you won’t know its history – if it’s been dropped or used during a fall, it wont protect you properly. Other items can all be bought secondhand if necessary, and it’s worth buying the right gear for the job. Jodhpurs have no inside seam, unlike jeans, and are stretchy enough to allow a full range of movement. Riding boots have a smooth sole and a half-inch heel, which help anchor your foot in the stirrup. Riding gloves are strategically padded to stop hands slipping, and a proper riding jacket will protect your shoulders, back and thighs from bad weather. If you have a decent jacket, you can get away with wearing cheap tops or T-shirts underneath. It’s easy to make haynets from old baling string, but they’re quite time-consuming, and don’t last as long as commercial nets. If your lead rope breaks, you can save the clip and replace the rope with a plaited length of baling twine, however this won’t be as soft as a cotton rope, and could rub your hands. Depending on your horse, it’s sometimes possible to make your own fly spray or to use human shampoo and conditioner instead of the equine equivalent – but check for sensitivity first. Keep old blankets, duvets and sleeping bags (cut the zips off first), as these make great under-rugs in the winter. There are lots of other ways you can save on equipment – for example. wedging buckets in tyres to prevent them from being knocked over, rather than investing in rigid troughs. However, always consider the safety angle before making a decision based on price alone – the consequences of an accident could prove very expensive.